Nintendo during an interview with Japanese gaming magazine Famitsu revealed that the upcoming hybrid console won’t be playing Wii U Discs or 3DS cartridges – but who cares right? 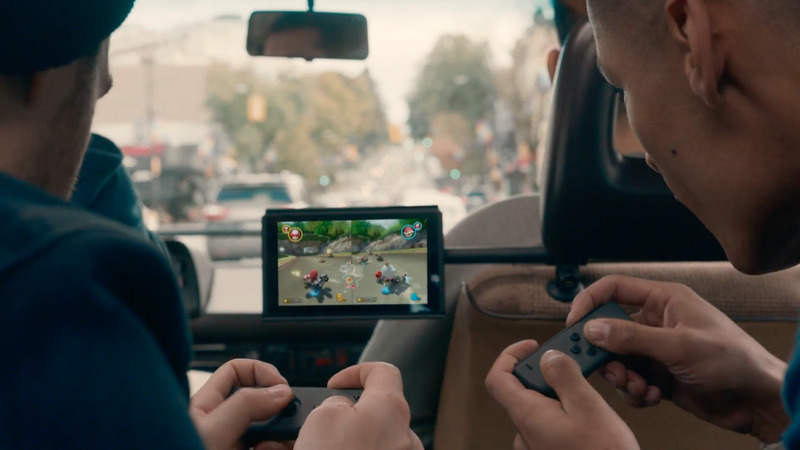 From first look, it’s almost impossible to fully grasp what the Switch can do so let’s get you up to date. To the left, we have the portable/Detachable shell which contains the Joy Con (That's what the controllers are called) and to the right, we have the portable dock inside a casing of its own. 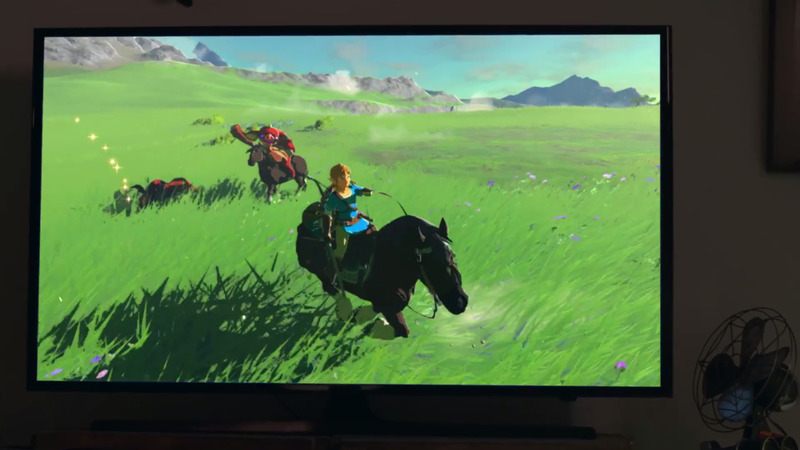 So here’s someone enjoying "The Legend of Zelda: Breath of the Wild" on his TV using the Nintendo Switch. Let’s say he has somewhere to be but doesn’t want the fun to stop, here’s what he does. 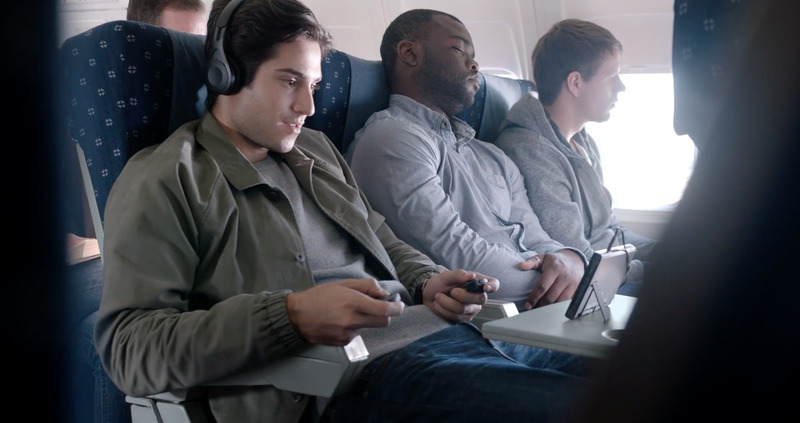 He removes the joy controllers from the detachable shell and attaches them to the portable dock, Voila, you have a portable gaming station. In some cases, as required by the game, you can prop the game and use one-half of the controller on each hand… Just like the Wii remote. 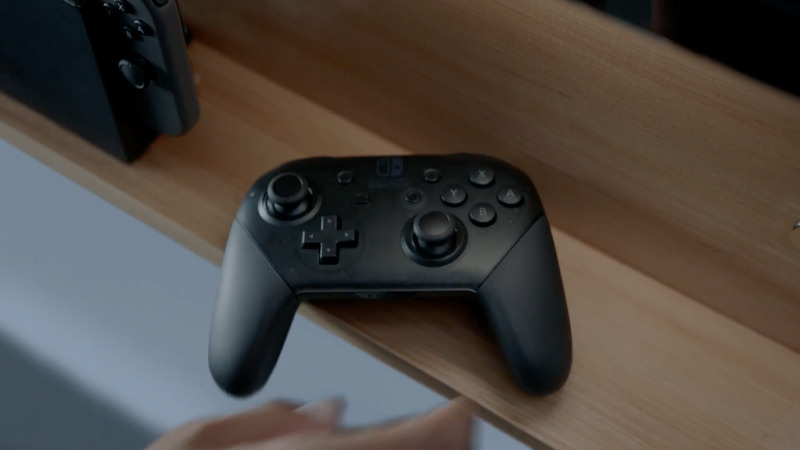 If you’re not a fan of the portable gaming idea, you can get a Pro controller which looks quite similar to that of the Xbox. We have seen probably 4/5 different configurations which the Switch can adapt. Instead of coming on discs, games will come in small SD like cartridges. Very Ballsy move from Nintendo, the Switch launches March 2017. It is expected of Sony to roll out an almost identical, much slimmer version of each PlayStation it puts out. Yesterday at the event in New York, Sony revealed that the slimmer version of the PlaySation 4 will cost you $299 (117,000?) and should be available on the 15th of September in most stores. In functionality, the newer PlayStation 4 version doesn’t differ much from the previous version but with the new sleek design, it does look a lot compact and more appealing. The major difference comes in shape of the redesigned light bar of the DualShock 4 which is now visible from the front. Now for the big news, there is going to be an upgraded PS4 console ready to ship November 10. The next generation PlayStation 4 is a huge upgrade on the former with a faster processor, better graphics, and support for 4K resolution. Although the gaming company will still continue production of every other PS4 version, the PlayStation Pro is specially designed for Pro gamers and is powered by an upgraded GPU and comes with a 1TB hard drive. This PlayStation version will feature better graphics for games which will be released for all PlayStation 4 versions. If you’re a Pro gamer, $399 (151,000?) shouldn’t be too much for all of this. A new firmware update that allows HDR display is coming for all PlayStation 4 users and will be available. The PlayStation Pro will support HDR gaming and video playback but nothing has been said for regular base models. Either way, you'll need a television that supports HDR if you’re going to view the improved images. No telling when these new consoles are going to hit Nigeria but I presume we should be seeing both by December. Pokémon Go: What’s All The Fuss About? First it was Temple Run, so quickly it became Candy Crush and then the incredibly annoying Flappy Bird. I turned to social media a couple days back and it seemed we had turned back the hands of time, everyone was talking or rather hunting Pokémons. According to Vox, a teenage girl even found a dead body while looking for Pokémon. And police in Missouri claimed that four suspected robbers lured in victims with the possibility of Pokémon. The Nintendo owned franchise that took the world by storm in the late 1990’s is making its way back through a mobile game called Pokémon Go. The mobile game available on both Android and iOS platforms is well on its way to becoming the most actively used App on the Android platform. Simply put, Pokémon Go accesses your phone’s GPS and recognizes where you are in the game and makes Pokémon appear at specific locations around you in actual real life lol quite something eyy? This combination of real life and game reality is called “Augmented Reality” and you should be seeing more of that as you get older. As you play the game, you would unlock different Pokémon characters as you move from place to place... I’ll say it’s a clever way to encourage people to exercise a little. So why are people so excited to go Poké hunting? The idea is simple, ever since the first Pokémon screening, fans of this idea have always asked the question “What if Pokémons are real and are existing in the real world?” This mobile game aims at answering that question... I personally found one in my living room. If you use a Droid, here's what you have to do. There have been reports of malicious software appearing in Pokémon Go APK files so make sure to check reviews before downloading. Or to avoid hackers having access to your phone. Pokémon Go really is a good game, the only down side being that it just kicks in full swing without any proper introductory speech or learning curve to go through. Do you ever just want to play a not so serious football game to pass time or kill boredom? That’s me most of the time. I’m home or at work and I need the time to go a little faster but I don’t have 1GB to waste on FIFA ultimate team or Real football or any of those properly established football games for mobile. If you’re like me then this post is for you. All under 300mb, these are the 5 best mobile games for football lovers. Rated 4.5 on the Apple App store, this game is a guaranteed boredom killer. It features a young you rising up from trials to becoming a world legend with options to choose which clubs you play for and of course customize your player. Also rated 4.5 on the Apple App store, Dream league soccer is probably the best thing to happen to mobile gaming. You start off with a handful of unknown players, earn money and purchase as you go. Play it so good and you could unlock legends like pele, maradona etc, what’s more,it has a multiplayer mode that works with Bluetooth and local internet connection for both Apple and Android users. Have you ever wondered what it would be like if you were stuck in a 70’s football game? Then this game is for you, perfect retro gaming graphics coupled with comic book interface like its 2007 again and you’re reading the Supa Strikas. Don’t front on this one. Made by the same company which made the Score! Hero game, this is a perfect one for people who watch football religiously as the game takes you back to your favourite matches to relive the goals your favourite team scored, however this time, you can score the goal however you please. 4 stars, Editor’s choice and with over 100 million players in the world, Top Eleven Manager is perfect for the football manager type people. You can join a football team, build your players and play against any of the 100 million people who use this app. Two days ago at SONY's E3 2016 conference, the company revealed a new God Of War developed by Sony Santa Monica. The game takes inspiration from Norse mythology and with the game's soundtrack composed by Bear McCreary, the composer behind Battlestar Galactica, The Walking Dead, this new God Of War is a sure hit. The demo begins with a much older player controlled Kratos teaching his son how to hunt before drifting off to brutal weapon attacks and gory hand to hand combats the franchise is known for. After a dramatic encounter with a dragon, the demo ends with a peaceful father and son moment with our new Kratos and his son whom we don't know his name yet. All we know is he has a bow, an arrow and a knife passed on to him by his mother. Watch the demo down below and pre-order on Amazon if you like.